Stump Shrinkers, Amputee Sock, Pirogoff, BUY Amputee Stocking, 3512HDI, 3512HDII, 3512HDIII, 3512HDIV, 3512HDV. Juzo Dynamic (Varin) Pirogoff Stump Shrinkers are compression garments that are Amputee Socks for people with pirogoff (symes) amputations. These Juzo Dynamic (varin) Shrinkers are designed to compress the amputated area and maintain the shape of the stump. Juzo Dynamic Amputee Stockings are designed with a number of features for comfort and durability. Juzo Dynamic Amputee Socks are perfect for anyone with sensitive skin, because the lay flat seams and smooth, soft fabric are non-irritating when you are wearing them for long periods of time. Pirgoff Stump Shrinkers will stay in place all day, due to a silicone stay-put band. 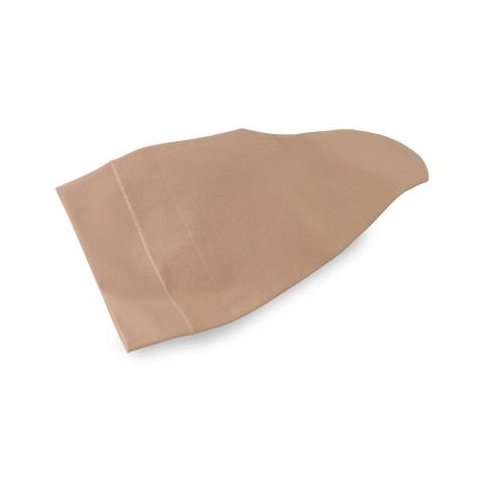 Juzo Dynamic Pirogoff Shrinkers apply a moderate to firm 30-40 mmHg compression. Higher compression rates are ideal for reducing swelling and fluid build-up. Juzo Stump Shrinker Product Numbers: 3512HDI, 3512HDII, 3512HDIII, 3512HDIV, 3512HDV.